In-ground sprinklers are great, but there are a few things you should know if you are considering purchasing one or if you have one already. 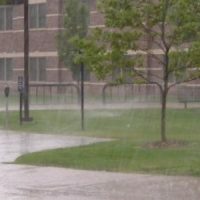 Have you ever drove by a yard when it is raining and the sprinklers are running? 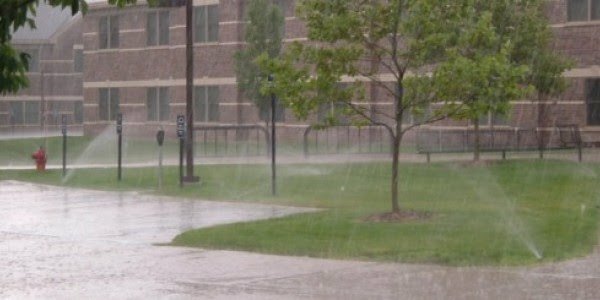 If you don’t have a rain sensor installed on your controller or have a smart controller, you could be “that neighbor.” These devices not only allow your system to run as efficiently as possible (which saves both money and water resources), they save you the task of having to manually turn off your controller during bad weather. 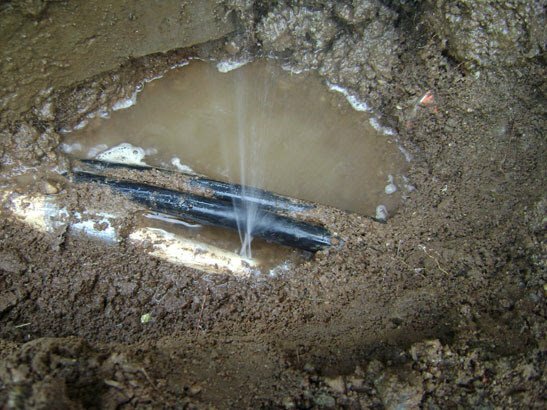 Just because you turn your sprinklers off, it doesn’t mean there’s no water in the pipes. When winter comes, this water can freeze resulting in costly repairs. To avoid this, winterize your sprinklers each year. Many landscape companies offer this service, and it involves hooking an air compressor up to your system and running each zone until only air is coming out of the sprinkler heads. Drip irrigation is very efficient and typically more affordable to install than a pop-up spray head system. But, because it is buried just below the surface, when you put a shovel in the ground, you may risk damaging it. 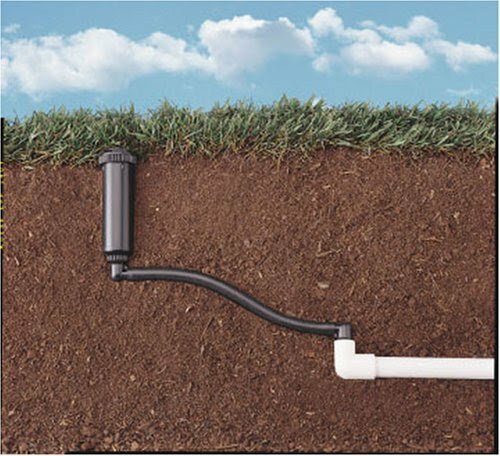 If you enjoy adding new plants to your yard or moving and dividing the plants you have, a pop-up spray head watering system may be better for you because the pipes are buried deeper. Additionally, if you add a new plant, you will need to tie into your drip system to add emitters to the new plants. With pop-up spray heads, that new plant will more likely have water to it already without additional work. Be prepared to adjust the location of sprinkler heads as plants mature. This can easily be done by digging up the heads and splicing in a section of funny pipe to move the head to a better location. 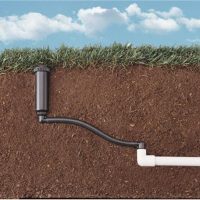 Funny pipe is the flexible, 1/2″ black pipe connected to the bottom of the sprinkler head. A screw at the top of the head will allow you to adjust how far the water will stream out of the head. The neck of the pop-up head can be gripped tightly and turned to the left or right to adjust the direction the water is spraying. Heads don’t always have to sit in the ground perfectly vertical. They can be leaned forward or backward to increase or decrease the distance the water travels away from a head. This technique can also be used to spray water over the top of shrubbery or below low limbs on a tree. If any of this is just over your head, a landscape contractor can help you with all of these things. Some companies offer an annual winterization program that also includes a spring check-up to make sure everything is operating and adjusted properly. Since companies that offer this service typically have several properties they manage, it is usually a very good value and great insurance against potentially costly winter damage. Blessing Landscapes offers comprehensive sprinkler services, from installation to adjustments to winterization. 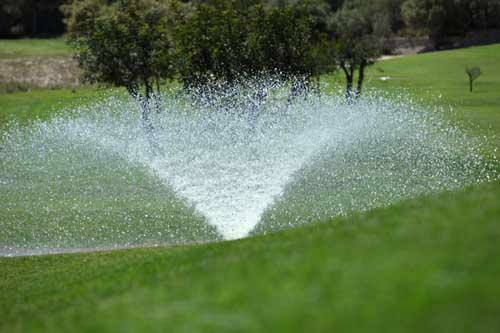 Contact us to find out how we can serve your irrigation needs. 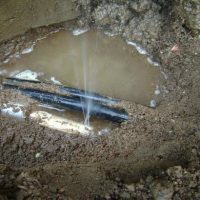 It’s good to know more about sprinkler maintenance. We have definitely cut into the drip irrigation system in our yard with a shovel, like you mentioned. We’ll have to hire a professional to come and fix that for us, and then we’ll be more careful!